MICHAEL KELLY The Marietta Times Jamie Striblin, left, and Kirk Slider lay down vinyl plank flooring in an east wing classroom at Putnam Elementary School on Monday afternoon. Slider, who works for Lang Flooring, said the floor replaces worn and damaged carpet. Crews also were repairing the roof at the school, one of many projects in Washington County schools to improve learning environments while students are on summer break. With buildings vacant for the summer, school districts in Washington County are doing painting, flooring and other repairs and maintenance in preparation for the coming year, which starts in only about six weeks. Frontier Local Schools is forging ahead on its major project to replace the stands at the football stadium behind the high school. Superintendent Brian Rentsch said Monday the project is well underway. The reconstruction project became necessary after repeated flooding over the years damaged the old bleacher structure and concession stand beyond repair. The project was estimated at about $73,000. Rentsch said the new concession stand, a structure about 200 or 300 square feet in area, will be located up the hill from the stadium, next to the field house and well out of the flood-prone area. The field house will get some new paint, he said. Elsewhere in Frontier, the elementary school buildings are being power-washed and receiving an application of brick sealant, and the restrooms and cafeterias are getting fresh paint, he said. Belpre City Schools buildings are undergoing roof repairs, treasurer Lance Erlwein said. “We are stripping the old caulk and recaulking the roofs at the board office, the elementary school and the high school. All of our roofs are well beyond their lifespan, and the cost to replace them would be in the high six figures; so our maintenance crew is doing their best to keep them in operation,” he said. Concrete work is being done at the high school, and aside from that, the district is doing routine maintenance on buildings and buses, he said. The Fort Frye district is doing mostly routine maintenance and repairs, superintendent Stephanie Starcher said. Most classrooms at Beverly-Center and a few others around the district will get new carpeting, she said. The lockers at Fort Frye High School and some of the classrooms in the district are getting new paint, and crews are doing the usual cleaning and maintenance work, she said. Athletic facilities also are getting some attention. She noted that in the fall the district’s Facility Review and Assessment process with OHM Advisors of Columbus is being launched. In Wolf Creek Local Schools, superintendent Doug Baldwin said, the most ambitious project is repainting the Waterford High School gymnasium and refinishing the floor. Aside from that, he said, it’s routine maintenance and cleaning for the district. Warren Local Schools is focused on a district-wide, $61 million rebuilding project and doing the minimum necessary with its existing structures, superintendent Kyle Newton said. “As that includes fully renovating the middle school and adding a gym, a new high school and a new elementary school, we are consciously not doing any projects of significance at the ‘older’ buildings,” he said. Marietta City Schools is considering its own building project, but if that comes about it will be several years off. In the meantime, several projects are underway in the district’s buildings. Special security locks are being installed in every classroom across the district, superintendent Will Hampton said. They are simple mechanical devices that can be set in the event of a lockdown to prevent anyone from entering classrooms. “It’s a significant upgrade. It’s a fairly simple device, quick and efficient,” he said. 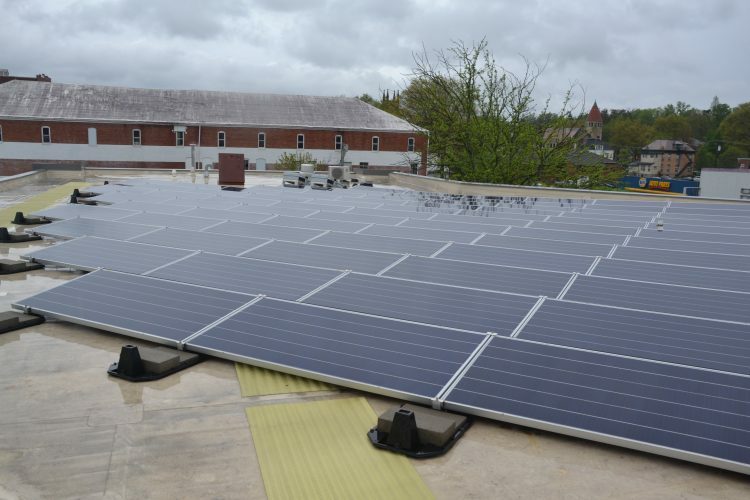 The biggest project in the district is the $200,000 roof repair at Putnam Elementary School, needed to prevent further infrastructure and classroom damage. 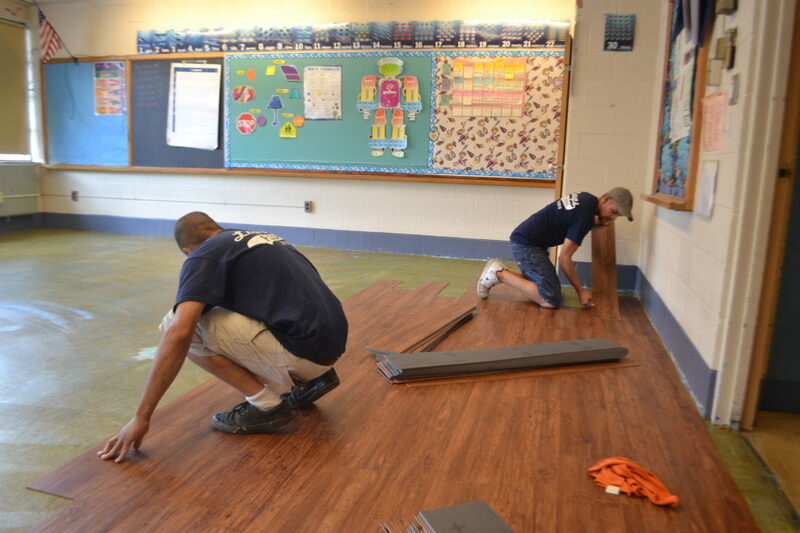 The school is also getting new flooring in some of the classrooms, a vinyl plank system to replace the carpeting. Roof work also is taking place at Marietta Middle School, Hampton said, to fix a long-standing leak problem that has damaged classrooms in one part of the building. 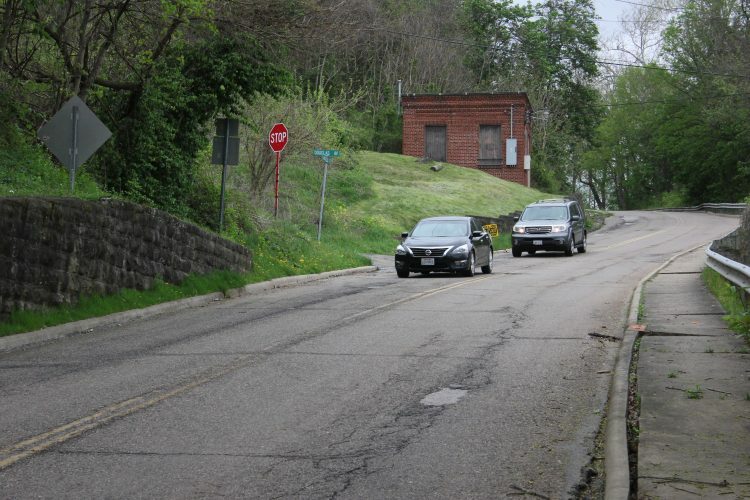 At Harmar Elementary School, Hampton said, one room is being configured to accommodate the new transitional kindergarten class, and the flooring in the office is being replaced. Work to replace the elevator at the high school is underway and should be finished soon, he said. “We have old facilities that require a good deal of maintenance work,” he said. ¯Belpre: Roof repairs, concrete, routine maintenance on buildings and buses. ¯Fort Frye: Cleaning, HVAC and plumbing repairs, painting, athletic facilities improvements. ¯Frontier: Completing new football stadium improvements, custodial work, painting. ¯Marietta: Security locks for interior doors, roof repairs at Putnam Elementary and Marietta Middle schools, elevator repairs at Marietta High School, reconfiguring a room at Harmar Elementary for transitional kindergarten. ¯Warren: Usual summer maintenance and repairs, no major projects. ¯Wolf Creek: Repaint gym and refinish floor.